Twenty-nine pilgrims made their way to Tewkesbury on Saturday 20th September 2008. 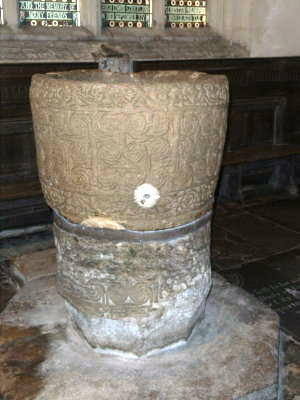 There were representatives from several churches in the Bristol area, including St Saviour’s’. It seemed that the sun was shining on us all day - a rare sight this Summer - (except for some early morning fog), so we were all assured of a great time. Those who arrived early met in the abbey refectory, which opened early especially for us and a few others. We met by the entrance to the abbey and split into two tours; those who wanted to see the tower and those who wanted to see the inside of the abbey. 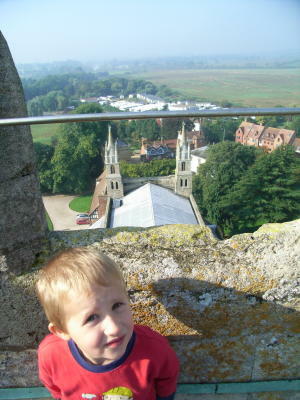 Twelve of us (including a 4 year old and a 1 year old) managed to climb the 249 steps to the top of the tower (and back down again). On the way we passed through the attic above the North transept, with the unfinished brickwork on the top of roof of the transept clearly visible. Walking across this we came into the tower itself and could look over at a hatch that opened into the Crossing in the centre of the ceiling above the Nave. 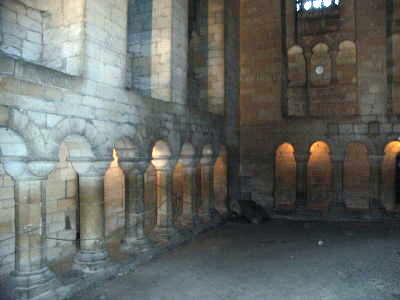 This was a lovely arched room, that apparently used to open to the abbey below, to let light in. 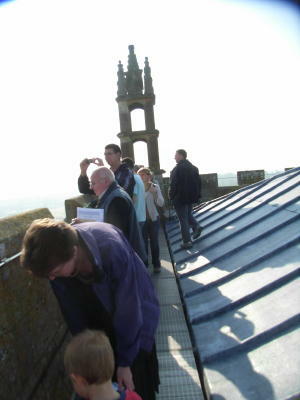 Up more steps; this time quite narrow and we passed the Ringing Room, then the Bells before finally coming out on the roof. Unfortunately, some of the fog was still lingering, so the views were not as spectacular as they could be, but we could clearly see the confluence of the Rivers Avon and Severn - the cause of so much flooding last year. On our return to the ground we found we were just in time to join the second half of the abbey tour. 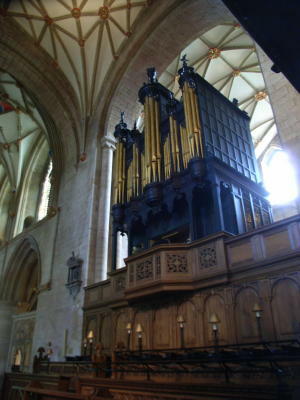 Tewkesbury Abbey is reputed to be the second largest parish church in England and is larger than fourteen cathedrals. It contains a wealth of architectural and artistic heritage. Christian worship was bought to the area by Theoc, the Holy hermit, in the mid seventh century and a monastery built in 715. 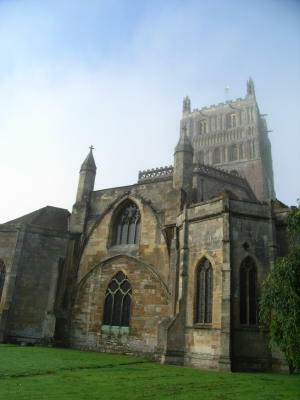 The town became known as Theocsbury, which has been corrupted to Tewkesbury. The present abbey was founded in 1092 and building work started in 1102, using Caen Stone imported from Normandy and floated up the Severn. 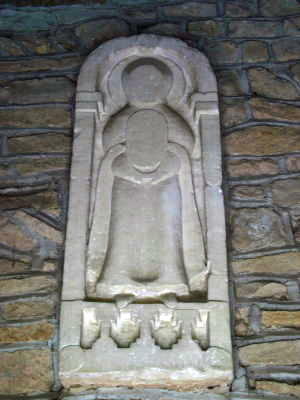 The abbey was consecrated in 1121. 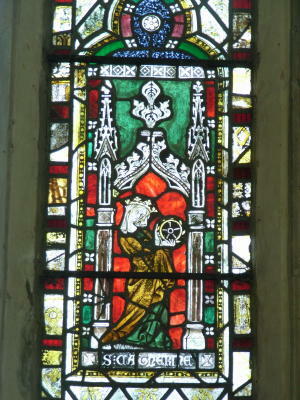 It survived the Dissolution of the monasteries in 1539, as the local people insisted that it was their parish church, which they had a right to keep. 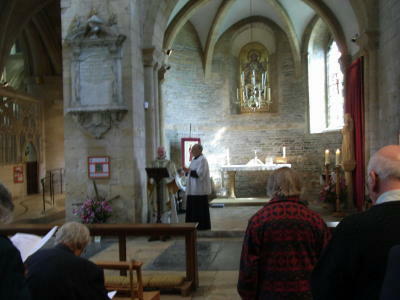 After a quick break for a cup of tea, we had a Eucharist service at Midday in a side chapel of the abbey. Some ate lunch in the abbey's refectory and others strolled into town. If time had allowed we might have had a nice stroll along the river, but I think most drove the 3 miles to Deerhurst Priory. Deerhurst is one of the finest and most complete buildings in England to survive from before the Norman Conquest. We were escorted by Dr Andrew Crowther who showed us some magnificent Anglo-Saxon sculpture, including the famous angel and a series of carved beast-heads. We were told that the priory was started in 804 when land was granted by AEthelric, son of Ealdorman AEthelmund. Earl Odda (one of the most important men in England during the reign of Edward the Confessor) lived here in the 11th Century. Odda died soon after the dedication of a second chapel, now known as Odda's Chapel, just a few hundred metres down the road. Before we left we sang some hymns and said some prayers, then went to have a quick look round Odda's Chapel. The location of Odda's Chapel had become a mystery until it was rediscovered in 1885, being used by a farmer as a barn. 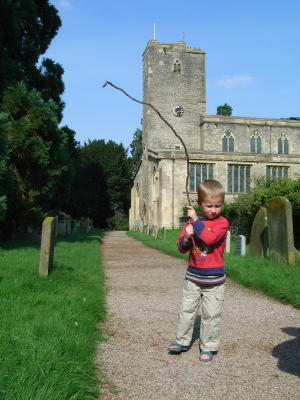 The party departed for a Service of Benediction in the abbey and then made their own way home. Thanks to Colin for organising the tour and also thanks to our very knowledgeable guides. Copies of these photos and others available for purchase from Andrew Brander - profits to church funds.